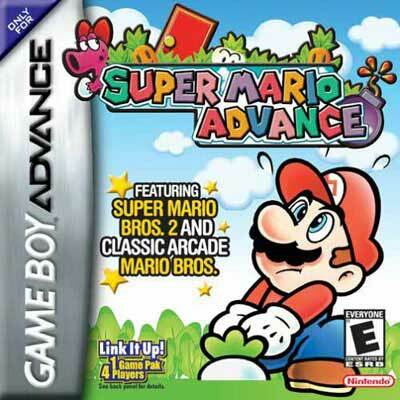 Super Mario Advance GBA Game Boy Advance Game Cartridge Cleaned Tested and Guaranteed to Work! Playing this game filled me with so much nostalgia. Booting the game up, muscle memory took over my hands, it's if I have never stopped playing it! If i were to recommend any game for someone starting out on the Super Mario series, it would be this game. At first I was weary ordering from this site, as I haven't used it before, but my games came right on time and for a wonderful price. It was my first time ordering from Lukie but it certainly won't be the last. This is forever one of my favorite titles and it works like it's new right out of the box. Great game, great price. First cartridge did not boot up, but lukiegames folks sent a new one out right away. Onmy issue was shopping: US postal service is terrible. They lost the package somewhere in my neighborhood post office for four days. But lukiegames is our new favorite. This game is awesome. It plays just like the original with greatly improved visuals and remastered music. They also added a very important feature the original game lacked - saving. Now, you do not have to complete the whole 20 level adventure in one go. The Mario Bros remake added on makes for a really great game. It arrived in great condition from Lukie Games and worked like new. Thank you very much. This game rocks. I'm just glad that there's Lukie to sell all the hard-to-find games like these. got this for my daughter for Christmas kind of worried because never used this site before but i have to say for the price it played like brand new... I will highly recommend this site and game to others and will order from lots more. If they made more Mario games I would buy them. I have always liked Mario and it is fun to see how far you can go Great! One of the first Mario games I ever played. Great condition and works well.